Spur Gears are widely accepted as the most efficient type of gearing solution, when the application of transmitting power and uniform rotary motion from one parallel shaft to another is required. Determined by the center distance, spur gears create a steady functioning speed drive. This drive speed can be decreased or increased by the variable number of teeth that exist in the driving gear. AmTech International is highly experienced as a TIER 1 spur gears supplier for OEMs throughout North America. Several of our custom spur gears have been used in gear-train applications – where multiple gears are required to have the same pressure angle and diameter pitch. They are available in plastic, non-metallic, brass, steel and cast iron. In addition, these precision machined components are manufactured many style types: plain, web, web with lightening holes, and web with spokes. Many are available with or without hubs. These internal spurs have a cylindrical pitch surface and teeth which are parallel to the axis. However, the internal spur gear teeth are formed on the inner surface of a cylinder. Also, the precision engineered mating component will be an external spur gearing. The teeth are machined during the shaping production step. When manufacturing ring gears, increased durability is the most important factor to focus on achieving. 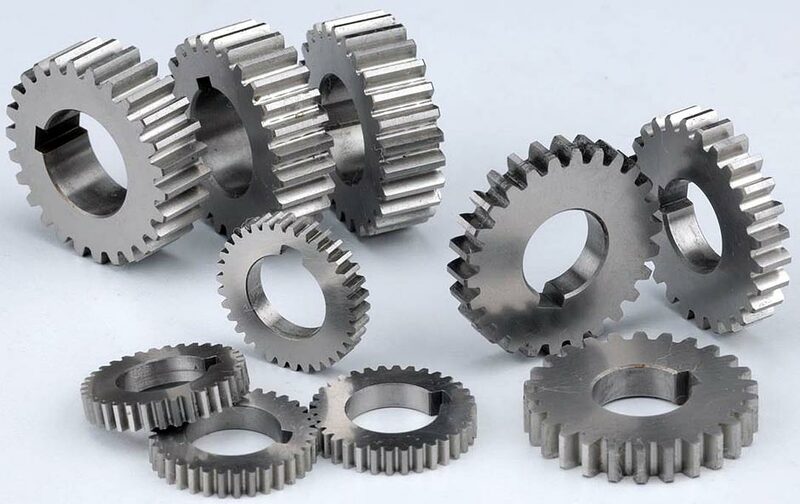 Ring gearing components, manufactured at AmTech International, allow for very close proximity operation versus externally toothed gears. Also, internal spur gear parts include customized pressure angles to mate with nearly any accompanying gearing type. Our custom ring products are most ideal for light applications, through smooth, quiet operation. These products are manufactured to transmit power control between parallel shafts, that operate in a similar plane. Cluster gear types are produced through a precision array or cluster of spur gears, with contrasting bores, on a shaft or gear blank. Normally, these particular gear assemblies are used in OEM automotive, off-highway and marine industry applications. 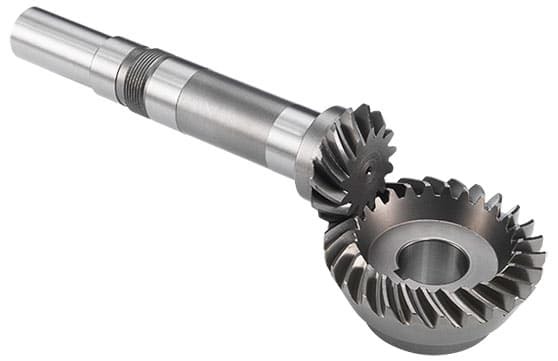 As gearing assembly suppliers, our OEM cluster gear products have been used in various application types that include low torque to heavy torque power transmission. By using high grade material steels or specialized alloy metals – our cluster teeth, bore and pitches – are precision machined to very tight tolerances.